Conductor Arthur Arnold says silence is part of the music. 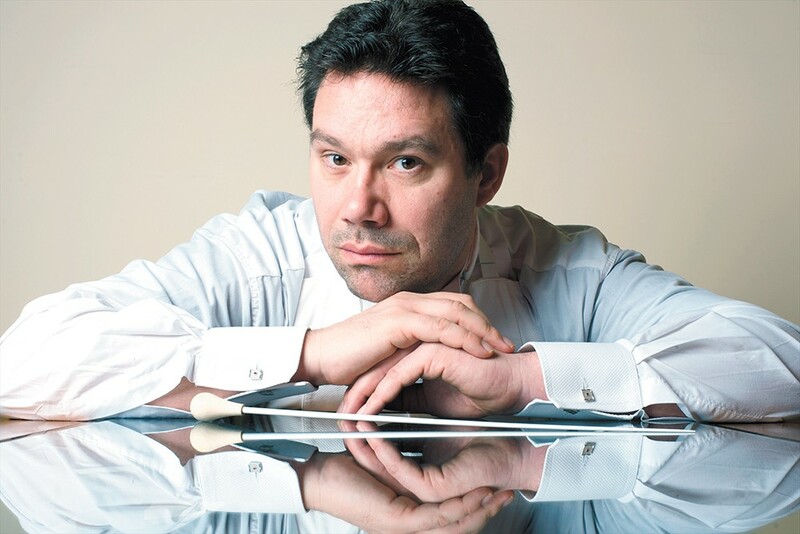 Next up is Arthur Arnold, currently the music director of the Moscow Symphony Orchestra in Russia. He will take the baton for this weekend's program, "Classics 8: French Mystique," which includes works from Francis Poulec, Camille Saint-Saëns and Bela Bartók and will feature violinist Simone Porter. The responses have been lightly edited. INLANDER: TV execs bring you in as a consultant. They want a must-see reality show that combines two things you love — sea kayaking and classical music. What idea do you pitch to them? ARNOLD: This episode involves a kayak, a storm, an airplane and "Beethoven 5" and it already took place. One calm and cold January morning, I looked out of the window over the Strait of Georgia and saw a blue sky and a calm ocean. I was going to take the ferry over to Vancouver Island that day to give a conducting masterclass. I thought I would take my kayak over the 18 miles distance instead. My wife, who grew up on this coast, thought I was insane, but the marine forecast was in my favor. I was more than six miles out when the winter storm hit. It was wild out there, and my speed was cut in half. With the wind head on I would not make it in time to the other side and had to turn around, surfing on the white caps and pushed by the wind. Back on land, I called a friend on the island who owns a plane. He is a founding sponsor of my festival. He was kind enough to come and get me. On the runway, ready to take off, he said, "When we go 80 you can pull'r up and don't go under 80 or we will come down." What an adventure, I was flying! "Harp Concerto" for sure. This wonderful poetic piece is full of beautiful moments of joy and is in sharp contrast with Mosolov's most famous piece, "Iron Foundry" ... The harp concerto was only performed once, in 1939, in the grand hall of the Moscow Conservatory with the famous Russian harp legend Vera Dulova and soon forgotten. Just a few months ago I performed it again in the same hall with the Moscow Symphony Orchestra and this time an American young harpist, Taylor Fleshman. We also included the third movement, "Gavotte," which was not played at the concerto's premiere. It's a very sweet and dancing movement and reminiscent of the "Gavotte" from "Prokofiev's Classical Symphony." This rediscovered work is a great addition to the harp concerto repertoire. I always wanted to be a conductor, even before I knew what it was called, but once I wavered. We lived just outside Amsterdam in a part of a village that bordered on the farmer's fields. I was 13 when I was helping the farmer to get the hay in before the rain, and because I was not strong enough to throw the hay bales up on the trailer, I was told to drive the tractor. Did I ever want to become a farmer after that! Your elevator pitch on why everyone should come see the "French Mystique" concert.